Cinnamon Life, Colombo’s premier lifestyle development will be hosting an exclusive evening of cocktails and entertainment with renowned TV cook and celebrity personality, Nigella Lawson, on the 22nd June, at Atrium, Cinnamon Grand Colombo. The event will give culinary fans across the island, the once-in-a-lifetime opportunity to meet Nigella in an intimate setting, and sample an array of cocktails and hors d'oeuvres curated by her and inspired by her signature style of cooking. A marteani anyone? – a splash of tea with an edge: The perfect partner, to a coffee-themed cocktail, this marteani is in essence, a drink with tea. It is made from an Earl Grey tea brew that has been left to cool. Sophisticated, tasty, and a nice touch to any soirée, Nigella’s marteanis will be a must-try at the event. More drinks please – a taste of the exotic: A light and refreshing, summer cocktail that’s ideal for any occasion, the drink offers a citric burst that will quench your thirst and keep you wanting more. Nigella uses a generous dose of mint leaves and lime to give this Cuban cocktail its zesty flavour. 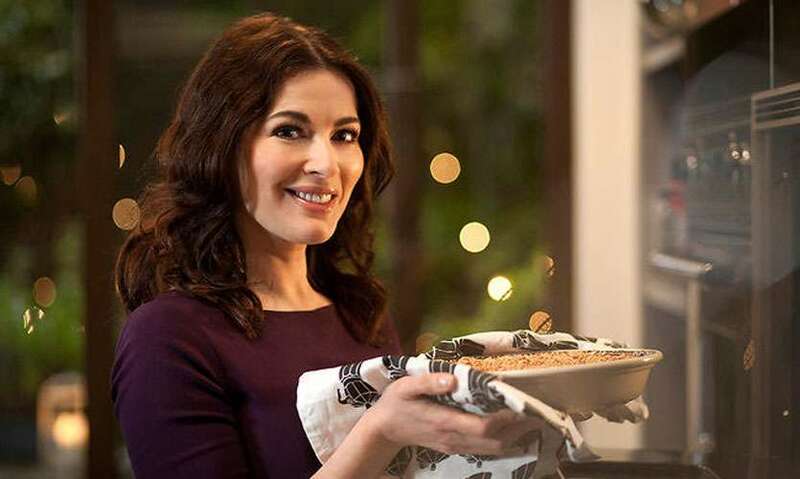 Nigella is known for preparing delicious, wholesome comfort food, drinks and dishes for every occasion, that have a fun and contemporary twist. Nigella’s creative yet practical and easy to prepare recipes as well as her simple cooking techniques, tips and methods, have all won her worldwide fame and popularity. She is also the author of a multitude of recipe books including ‘How to Eat’, ‘How to Be a Domestic Goddess’ and ‘Nigella Bites’. Whether she is appearing on a TV show, sharing her culinary secrets in her latest book or providing cooking tips and easy recipes via her website, Nigella is a household name and one that is embraced in kitchens and homes around the world. Cinnamon will be the epi-center for entertainment in Colombo, bringing to life modern entertainment culinary celebrities, music festivals, A-list artistes amidst an array of live entertainment through its stale of the art facilities. This city within a city will consist of an 800-roomed luxury Cinnamon hotel, an array of entertainment facilities, premium residential apartments, a retail and entertainment mall, office spaces, and many other attractions to help solidify its position as an entertainment hotspot in the Indian Subcontinent. The development’s iconic design by Cecil Balmond will span across 4.5 million square feet and is envisioned to be the epi centre of modern South Asia. Tickets for the above-mentioned brunch can also be booked via the website.